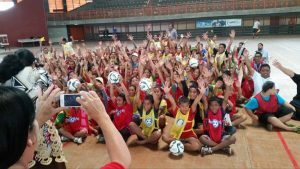 TongaFootball > News > Just Play programme > Live Healthy, Live Longer and Live Happily! Live Healthy, Live Longer and Live Happily! 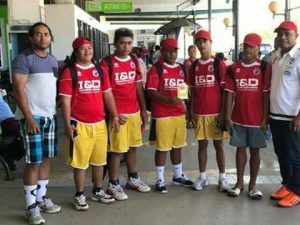 To encourage, to inspire our children of Tonga, the future of Tonga and also your parents to do excercise everyday, something as simple as thirty minutes walking a day is better than nothing! 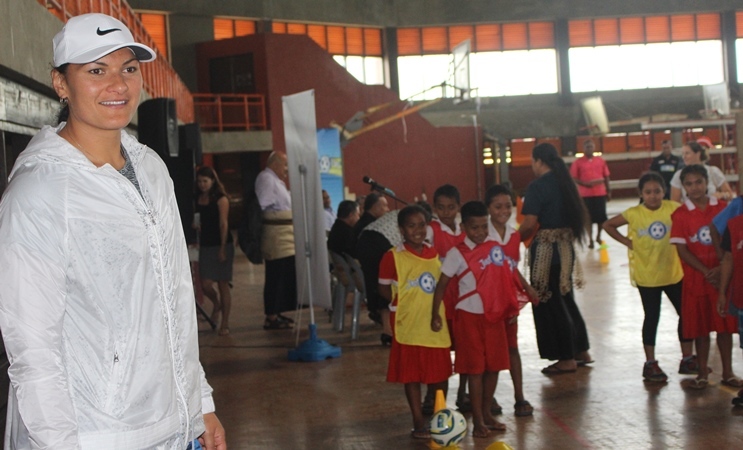 Valerie Kasanita Adams, New Zealand’s first appointed Sports Ambassador to the Pacific joined two hundred Just Play children at the Átele Indoor Stadium for ‘’Just Play Festival’’. Adams is a New Zealand shot putter. She is a four-time World champion, three time World Indoor champion, two-time Olympic and three-time Commonwealth champion. As soon as Adams walked in to the Atele Indoor, the Just Play children stood up and they screamed to top of their voices, ‘’welcome home Valerie’’. The noise grew bigger and bigger as the kids were over excited, and they continued to clap their hands until Adams took her seat. and joined their games and at the same time she kept on motivating them. Adams says, ‘’The kids here today are the future leaders, doctors, nurses, people that they will run the country. For them to be able to do that, we need to give them a good example, also they need to live a healthy lifestyle and I am glad Just play program offered all to these kids. Live healthy, Live Longer and to be happy’’. Adams also stressed out how amazing to compete in the Olympics Games, World Championships, Commonwealth Games. ‘’It is awesome, and it is an honour to represent your country in front of many people, and there many people out there inspired you, and that can be something that will lead for a change’’, she added. ‘’Whatever sport they choose in life, or anything in life they wish to do, they must work hard for it so they could reach the top. And they also need to be happy with what they do,’’ she advised. When Muavesi blown the final whistle, the just play kids screamed to continue on but very unfortunate Adams must leave for her other appointment. But before she left the Indoor,the children shouted their goodbyes inTongan, ‘’ófa atu Valerie’’. The Hon. Minister for Internal Affairs, Hon. Penisimani Fifita, Hon. Minister for Health, Hon. Dr. Saia Piukala, New Zealand High Commissioner for Tonga, H.E Sarah Walsh and few other invited guests were attending this event. The Tonga FA’s General Secretary, Lui Áho expressed his gratitude thanks to New Zealand Government for their ongoing support of Just Play progamme in the Oceania and to enable Tonga Football to host such great event like today. Áho says, ‘’Today mark a very historical event for Tonga Football’’. 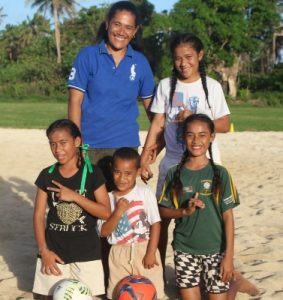 While Adams visit to the Kingdom of Tonga, she will conduct coaching clinics with up-and-coming athletes, speak with elite athletes, attend to a Women in Leadership Advocacy Programme, also to visit all New Zealand funded projects including the National Health Service facility and a Community health project. Just Play is a sport development programme designated for children aged 6-12 years and it was started in 2009. Through the OFC Just Play Programme children learn, grow and explore sport in a positive and meaningful way through integrating the social messages into all sessions and activities, and children learn to develop healthy lifestyles habits. This programme also include people with disabilities, support and encourage gender equality; and encourages the schools’ and communities’ engagement. 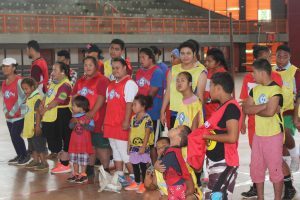 Tonga Football is forever grateful to Australian Government, New Zealand Government, UEFA, UNICEF PACIFIC AND OFC for their continuous support of Just Play program all over Oceania. Previous Post To lift the standard of Referee in Oceania! Next PostStay in the Game!